Weddings are joyous and wonderful occasions that require a lot of planning. Part of that planning involves feeding all the guests. When considering the dessert option, why not go with a candy buffet? A candy buffet can be presented with the cake to give every guest a great deal of choices. Candy buffets for weddings are becoming extremely popular and can make a wedding reception even more memorable for all the guests. Candy buffets are an incredibly versatile option. They can be constructed to match any sort of wedding theme. From the types of candies, colors of the candies, to the containers in which the candy is presented, everything can be customized to match the theme and tone of any wedding. 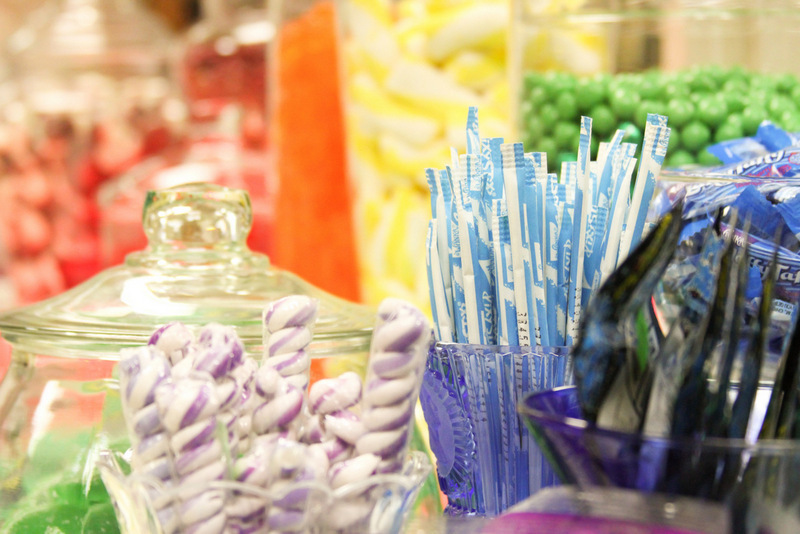 A candy buffet is a great addition to a wedding. They look spectacular and are a hit with guests young and old. With a candy buffet you will assuredly have something for everyone and it will help add a wow factor to the wedding celebration. 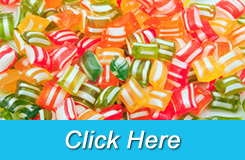 We can even provide candies that are wedding themed such as ribbon candies, “Just Married” candy rolls, candy flowers, candy hearts, and much more! 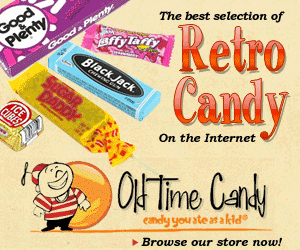 The Sweet River Candy Company would love to help you create the perfect candy buffet for your wedding.